When she was just 10, Linh* and her mother fled their home to escape Linh’s abusive father. They sold books on the street to survive. But when Linh’s mother realized she was pregnant, she returned home. Not wanting to relive the violence of her youth, Linh decided to fend for herself in the city. Linh lived away from home for five years. At age 15, she returned to her hometown to study hairdressing and make a better life for herself. She stayed with an aunt who was a Christian and told her about Jesus. Not long after her aunt began taking her to church, Linh accepted Jesus into her heart. The words of her favorite verse, “Be kind and tender-hearted to one another, and forgive one another, as God has forgiven you through Christ” (Ephesians 4:32, GNT), encouraged Linh to forgive and love her father. And then God performed a miracle in Linh’s life. After seeing the change in his daughter, Linh’s father stopped drinking and became a Christian as well! What a gift from God! 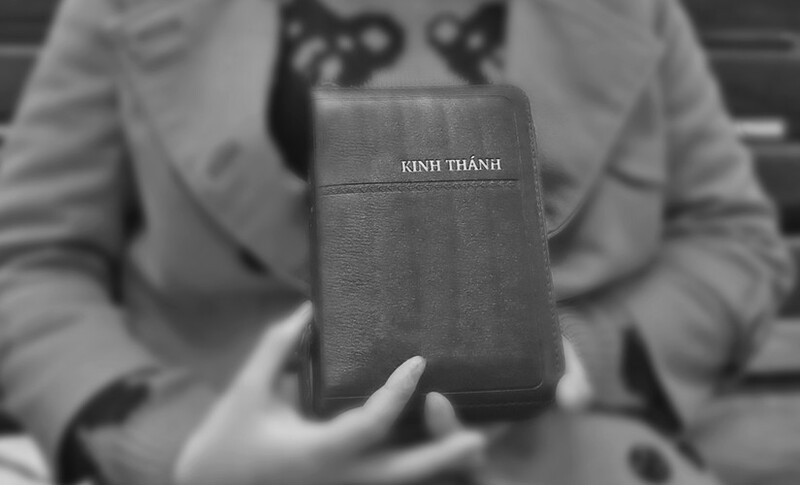 Bible Society ministry in Vietnam and other Southeast Asian countries helps bring the comfort of God’s Word to people like Linh, equipping the local churches with Scriptures to hand out to the growing Christian population. We are grateful for American Bible Society financial partners who help to place Bibles in the hands and hearts of people in Southeast Asia through their generosity.